Operating in a judicial system that is dependent upon advocacy and a world full of wars and rumors of wars (that’s Biblical, huh), how do we reconcile the conflicts which confront us at our every move, every case, every relationship and the ever changing moral and ethical challenges? Especially now that we have taken on a new role as an expert, we are expected, even more, required, to be better. 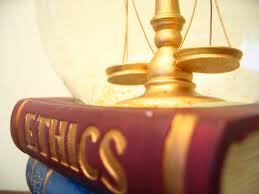 During the course of our expert QDE career, we will, indeed be in conflict with many of these ethical questions. Who defines or demands such requirements of you and your ethics? You, my fellow experts, are the final judge of your ethics. You are the only person in charge—of you! Freedom is having a choice. You have a choice! So you must study to show thyself approved—and then develop a strong set of personal rules that you can follow without question. A team is a group of people doing the same thing, the same time, the same way to get the results decided upon during the formation of the team. Maybe you and I together with our HSI team, can formulate a set of goals pertaining to our ethics, and instill in our team, individually and collectively, a high set of standards which could be recognized everywhere and maybe someday adopted by our industry.